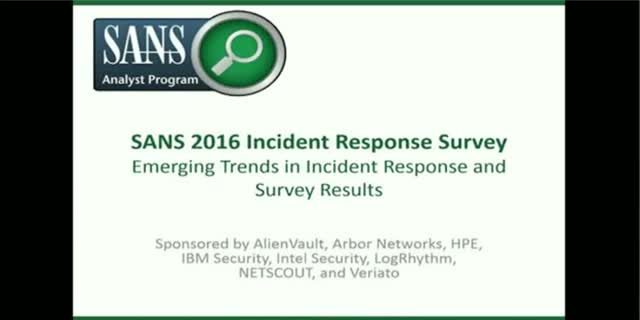 This on-demand webinar, brought to you by LogRhythm, will cover the results of the third annual SANS survey on incident response. It will explore the continuing evolution of incident response, how tactics and tools have changed in the last three years and how security professionals are dealing with increasing numbers and kinds of attacks. Watch the webinar to learn takeaways and recommendations for incident response from industry experts, courtesy of LogRhythm.